You can fit a lot of culture onto one island, and the beautiful Ile de la Cité proves it. It’s the home of the iconic Notre Dame Cathedral, the Palais de Justice (the Supreme Court), the incredible Sainte Chapelle and countless cute streets and little parks tucked away and waiting to be discovered. 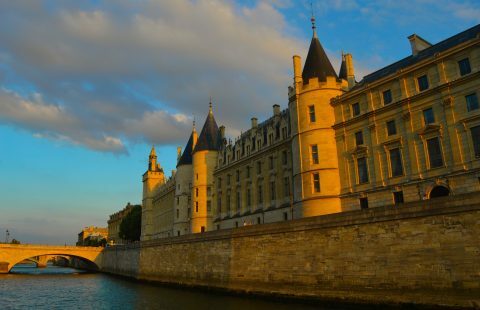 Historically, the Ile de la Cité marks the very beginnings of Paris. This is where the city’s original Parisi tribes made their homes – when Paris was nothing more than a muddy little town on the shores of the River Sequana, now known as the mighty Seine! So read on to find the neighbourhood’s real gems and discover the true heart of Paris. 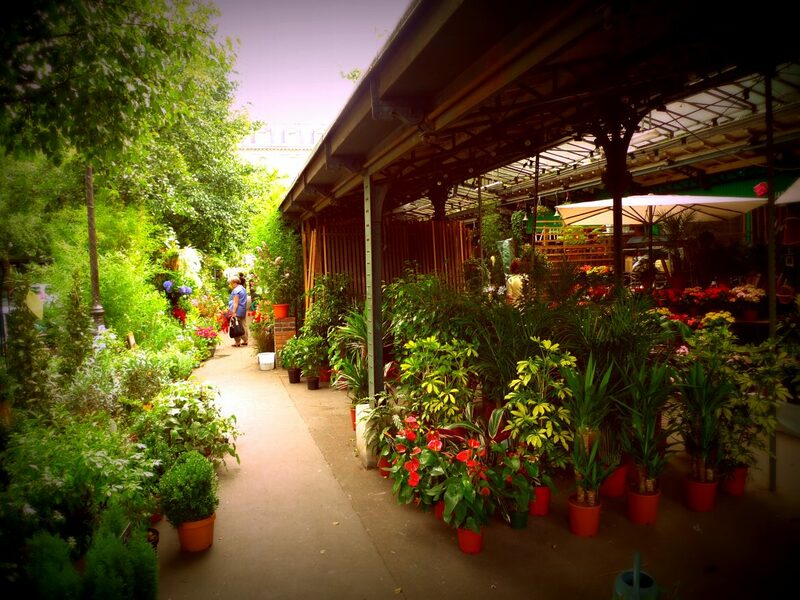 One of our favourite markets, if you arrive by Metro to the Ile de la Cité you can’t miss the lovely flower market that nestles on the lovely open Place Louis-Lépine. A covered markets packed full of beautiful flowers, a stroll through this verdant little marché makes for beautiful photographs and tempting purchases for those with green fingers! Little boutiques sell lovely ornaments and funky planters, and the smells of fresh flowers and herbs is everywhere. From the Marché aux Fleurs you’ll soon appreciate the grandeur of the architecture on the Island. Just a few moments away you’ll find the imposing buildings that make up the Palais de Justice, within which lies a true gem of Paris. 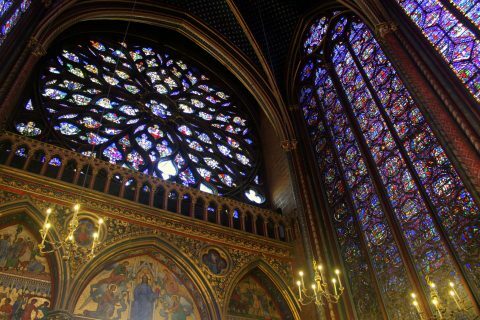 Tucked away within the complex, Sainte Chapelle is home to some of the finest stained glass in the world – stepping inside is a breathtaking experience, so be sure to visit on a sunny day for maximum wow factor. A gothic chapel built in the 13th century for King Louis IX, and was completed in an impressive 5 years! One of the highlights of Paris’ historic sites, book your tickets in advance to skip the (often long!) queue. Tucked away amidst the grand architecture of the Island, the lovely Place Dauphine is the perfect peaceful spot for a morning coffee, away from the hustle and bustle of the city. Find a sunlit terrasse and relax in style before continuing your Ile de la Cité adventure. Looking for an apartment in the 1st arrondissement ? If it’s time for lunch (or just a little treat!) then make like a true Parisian and enjoy a picnic by the Seine. First, cross the Pont Neuf to the huge equestrian statue of Henry IV and take a moment to enjoy the view across to the Eiffel Tower. This is the oldest bridge in Paris – which is ironic, given that it’s name means “new bridge! – and if you walk behind the statue you’ll find a staircase leading down to a lovely park – a favourite with Paris picnickers. Bring a bottle of wine, a baguette and some cheese, and join the relaxed crowd enjoying the sunshine! One of the most famous highlights of the Island, Notre Dame rises high above the rooftops and attracts thousands of tourists every week. Don’t be put off if a huge queue weaves through the open square in front of the cathedrals gleaming white facade, it moves quickly enough that you’ll be soon enjoying the vaulting interiors of this famous gothic cathedral. 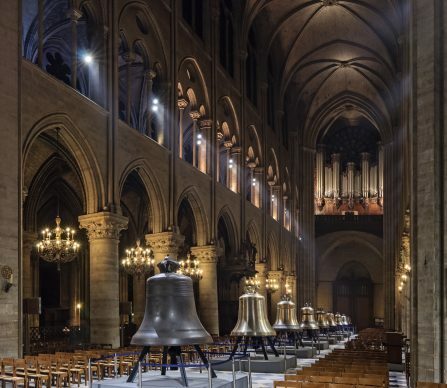 Check out this photograph, where you can see the huge new bells which began ringing in the towers of the cathedral for the first time last year! From here you can stroll through the lovely gardens next to the cathedral, watch the boats go by on the Seine, or take a shaded bench beneath the trees to people-watch, before turning left and strolling over the pedestrian bridge to the lovely Ile Saint Louis. Here you’ll find quaint narrow streets lined with lovely boutiques, as well as the most famous ice cream in Paris at Berthillon.